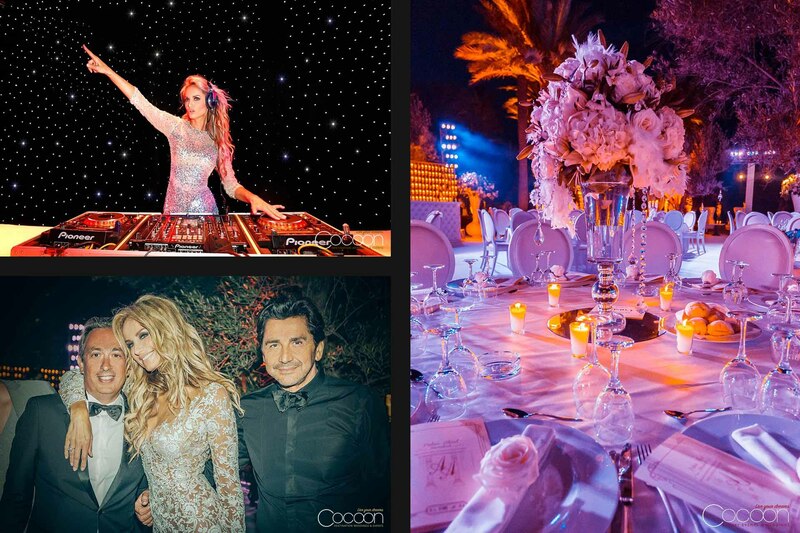 When former Top Model Adriana Karembeu married dashing international businessman Aram Ohanian, she knew that there was only one person in the world who she wanted to plan her beautiful wedding in a secret Marrakech palace: Cocoon Events’ CEO and expert luxury destination wedding planner, Fabrice Orlando. The power couple’s private civil ceremony was held at City Hall in Monaco before a few close friends and family. 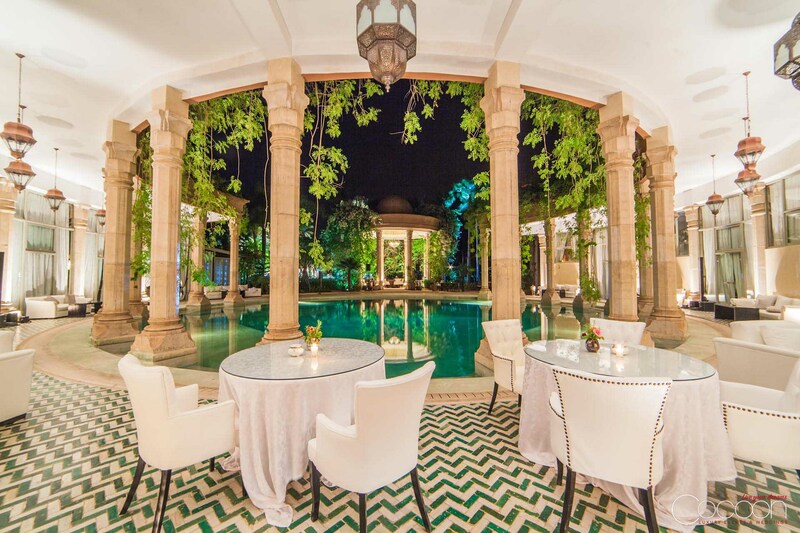 Afterwards, the whole group was whisked away to breathtaking Marrakech, land of the legendary Arabian Nights and one of the treasured world cities that the couple call home. 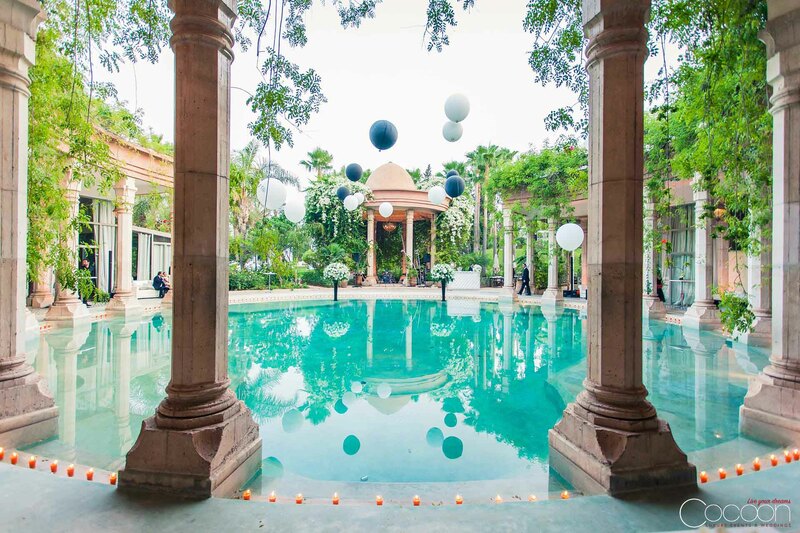 Their rendezvous with 150 of their closest friends and family was orchestrated at a stunning venue that few in the world are privileged to encounter; a best-kept secret among wedding venues in Marrakech: the Palais Rhoul. Fabrice and our design team sought to honor the inherent beauty of the Palais while incorporating contemporary elements to create clean, crisp décor. This look enhanced and celebrated the venue’s exquisite architecture. Built in the Greco-Roman style, the palace features a huge central swimming pool surrounded by dramatic columns. We drew attention to the pool by accenting it with glowing amber candles and floating giant black and white globes overhead. 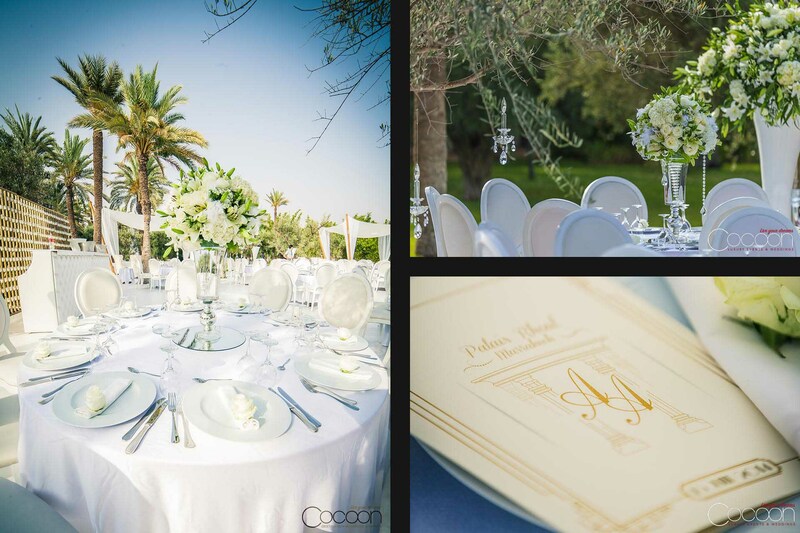 After enjoying cocktails and warm greetings, guests transitioned to the palace’s manicured gardens for dinner and dancing. There, they mingled and dined at tablescapes of pure white. The monochromatic centerpieces overflowed from towering vases, and dripped with twinkling crystals, a reflection of the stars visible overhead in the romantic Moroccan night sky. One of the highlights of the evening was the presentation of a giant sparkling wedding cake, complete with a custom monogram topper. Adriana and Aram will forever cherish the memories of their magical, intimate wedding weekend – their very own dream come true.